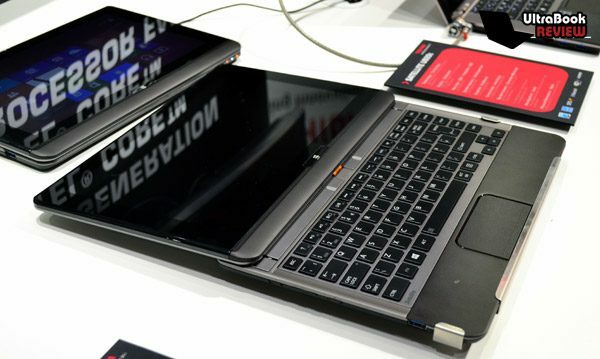 Toshiba gave us quite a lot of work to do with all of the company’s IFA 2012 unveilings. After only releasing the Portege Z830 in the first ultrabook wave from last year, the Japanese now revealed a budget-friendly Satellite U940, a premium U840 and a Z930 refresher of the 2011 ultrabook. The icing on the cake came at the very end, when the Satellite U920t/U925t was introduced to the public. This is a tablet/ultrabook hybrid similar to Sony’s Vaio Duo 11, but with a larger display and a cooler sliding mechanism. The hinge that lets you transform the U920t in a tablet or mini-laptop seems to integrate better with the hybrid’s overall design, allowing you to also set your ultrabook to different viewing angles, depending on your needs. 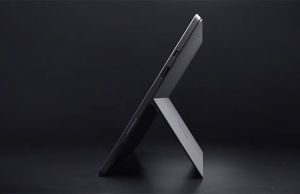 The U920t’s exterior is a rather sophisticated one and the cool thing is that the 12.5-inch display allows it to look natural both as a slightly larger than usual tablet, but also as an ultrabook. The combination of build materials used (magnesium and textured plastic) also seems like a pretty wise choice, allowing the 12.5-incher to be both elegant and light (1.45 kg weight). Not to mention it’s also just 0.75 inches thick. Watch out, Sony! Your Vaio Duo 11 has some competition! The backlit keyboard is obviously a tad smaller than what you may have gotten used to at ultrabooks, but that doesn’t mean it’s not as elegant as the one on the Portege Z930 (and hopefully just as functional). Where Toshiba seems to have really sacrificed though is on the hybrid’s touchpad, which is so tiny that it might as well not be there at all. Not to mention that it has integrated click buttons. Ugh, the horror! In terms of hardware and performance, the convertible PC’s manufacturers don’t seem to have cut any corners, packing the U920t with the latest Intel Core Ivy Bridge CPUs, up to 8 GB of RAM, up to 256 GB SSDs and integrated Intel HD Graphics. We don’t know exactly how many differently specced models will be available, but we’re guessing you’ll have a fair number of options to choose from. The 12.5-inch touch-sensitive IPS display is itself pretty great, coming with a 1,366 x 768 pixel resolution and Corning Gorilla Glass for protection against scratches. 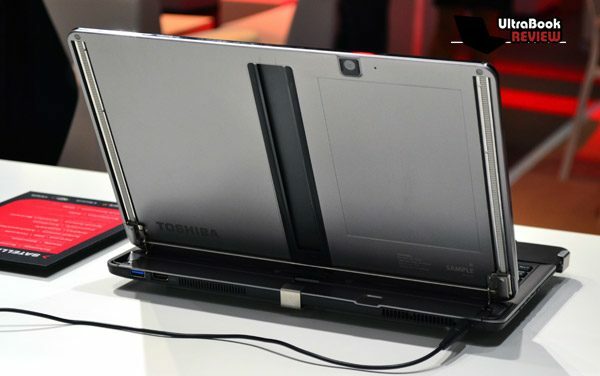 Toshiba has announced that it will equipping the hybrid with dual cameras (a 3 MP rear-facing shooter and a 1 MP front-facing webcam), but also with a pretty wide range of connectivity options and ports, including Wi-Fi, Bluetooth 4.0, HDMI, two USB connectors and an SD card reader. Now that is what we would call flexible! 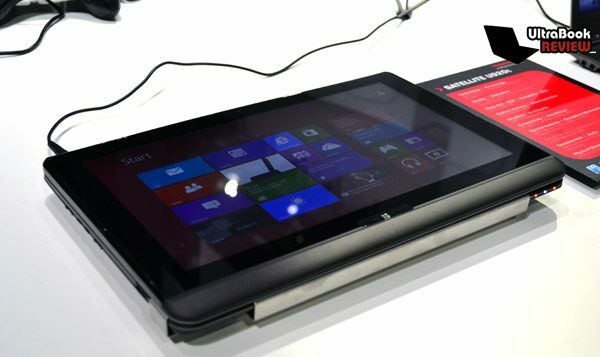 The Satellite U920t is expected to start shipping sometime in late October with Windows 8 on board, but unfortunately all pricing details are kept under wraps. Like with the Sony Vaio Duo 11, we’re not ready to make any speculations on this front and we’ll rather wait and see. For the time being, feast your eyes with our exclusive hands-on video of the Satellite U920t tablet/ultrabook and let us know what you think about it. Does it look better or worse than Sony’s Vaio Duo 11? – not sure about storage. Is the hybrid storage much slower than just SSD? Can you recommend an ultrabook that has these specs? there are several that could meet your requirements, except for the weight part. 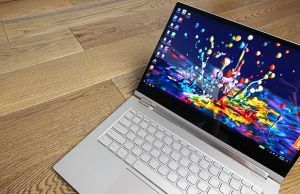 Most of the 13.3 inch ultrabooks under 3 pounds do not come with a touchscreen right now… The Acer Aspire S7 might though, and there should be a Zenbook Prime UX31A with touchscreen but I haven’t seen it in stores just yet. 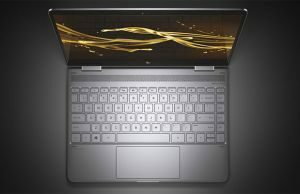 So, you should look at the ultrabook convertibles, like the Lenovo yoga, Lenovo twist, Asus Taichi, maybe the Vaio Duo 11. Or at those other two mentioned above.